On January 25, 2017 the Department of Communications and the Institute for Creative Writing and Literary Translation hosted a screening of “Verano”, a short movie directed by JCU alumnus Alessandro Ceschi and based on Professor Carlos Dews’s short story “Recoleta”. 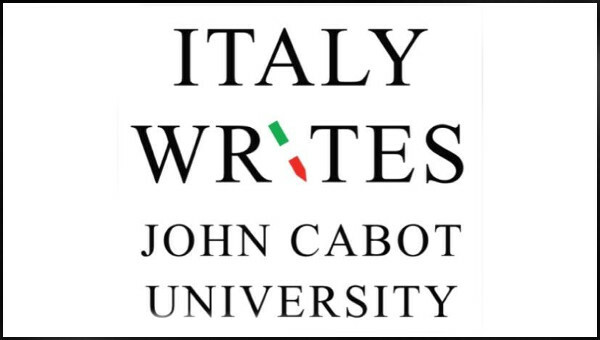 On Wednesday, October 26, 2016, John Cabot University presented the Italy Reads Keynote Address by Professor Sarah Churchwell. The Albert Walker Fuller Prize Committee invites students, alumni, faculty, and staff to apply for The Albert Walker Fuller Prize in Communication. On June 20, 2016, the Institute for Creative Writing and Literary Translation hosted a conversation on the craft of writing, featuring John Cabot's 2016 Writer in Residence Susan Minot and poet and journalist Cynthia Zarin. On June 15, 2016, the Institute for Creative Writing and Literary Translation presented a reading by Susan Minot, 2016 Writer in Residence at John Cabot. Minot read from her latest work, Thirty Girls, a novel about a group of Ugandan young girls abducted by the guerrilla group and cult Lord's Resistance Army. On June 16, JCU's Italy Writes, a nation-wide English language creative writing competition for high school students whose primary language of instruction is not English celebrated young talent. On May 30, 2016 the Institute for Creative Writing and Literary Translation presented a tribute to late American writer Lucia Berlin.